Update: Unfortunately this Penguin Pursuit appearance has been canceled due to the weather. 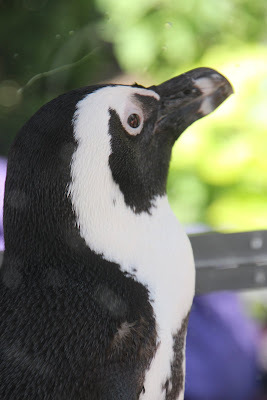 But you can see all the Aquarium's penguins on exhibit today, just head down to the Aquarium. 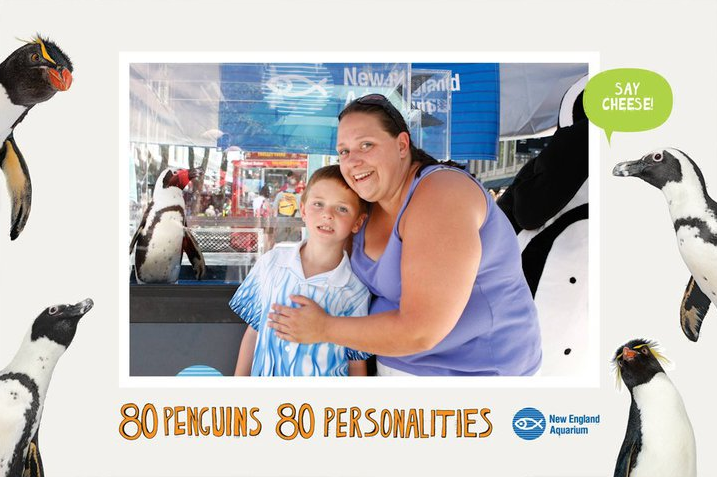 Start planning your visit! This week is your last chance to see one of the Aquarium's penguins on the urban streets of Boston this summer! 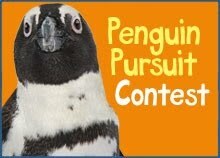 The last Penguin Pursuit Contest of the season is underway. 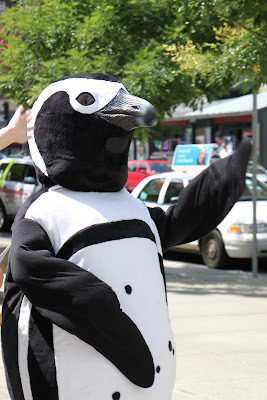 You know the drill by now: Just follow our clues to a popular Boston hangout to meet one of our penguins this Wednesday, August 25, from 12:30 p.m. to 1:30 p.m. We'll be posting clues over the next couple days so stay tuned. Roast Beef, one of our our handsome African penguins, is looking forward to seeing you! Roast Beef stayed cozy in his climate controlled cart during a visit to Fenway Park. In 1962 architects Kallmann, McKinnell and Knowles won a competition to design a building in this space; their design for a nine-story Brutalist structure was chosen out of 256 entries. In 2008, the building located in this space gained some international notoriety when Virtualtourist voted it the ugliest building in the world. The famous structure located in this large, red-brick square in downtown Boston is made out concrete. More clues will follow in the next couple days. Check back often because you'll definitely want to meet Roast Beef and his entourage. Educators will be on hand to answer questions and give out free bookmarks. You may have a chance to meet our friendly penguin mascot. And of course, Roast Beef will be happy to pose for photographs! 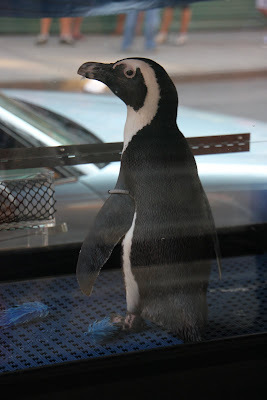 Here's a peek at the action during the penguin's previous jaunts about town.